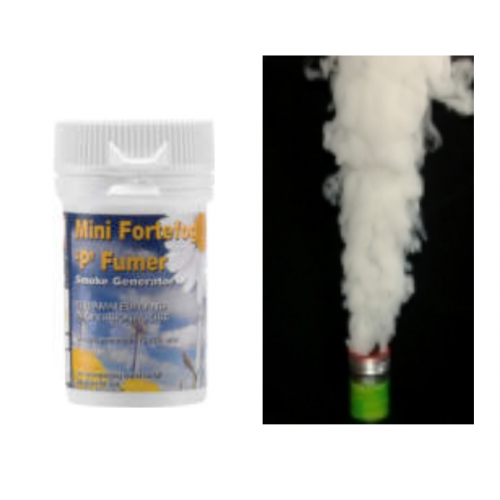 Pesticide Smoke Bomb Generators. Fortefog fumers are the ready to use strong fumer alternative against a wide range of flying and crawling insects offering safe and easy control of insect pests in domestic premises, shipping containers, animal houses etc. Ideal for accessing difficult to reach areas such as loft spaces. Available for both professionals and amateurs. No lingering smell, non pungent, no residual odour after treatment. No additional equipment nor chemicals required. No mixing nor complicated calculations. Modern clean technology, convenient and easy to use. Completely self-contained, light the fuse and walk away!